The most popular videos on YouTube this year were of a Scottish talent show winner, a little boy returning from the dentist, and some wedding guests dancing down a church aisle. For anyone who plans to visit YouTube to look up these Warholesque obscure-but-incredibly-popular topics, doing so will just increase their popularity even more which goes some way to explaining the phenomenon of the YouTube video sensation. 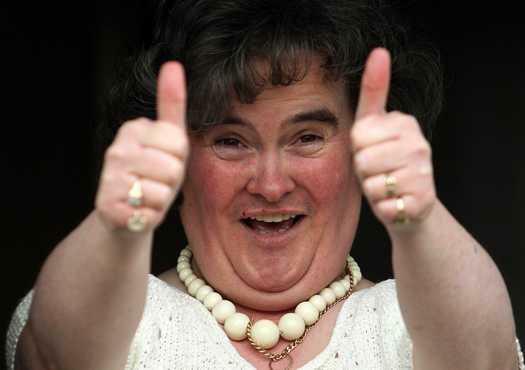 According to YouTube's parent, Google, Scottish singer Susan Boyle's appearance on Britain's Got Talent was watched more than 120 million times on the company's servers, ahead of 'David after dentist' with more than 37 million views, and the 'JK wedding dance' on around 33 million views. These are figures for the whole world, not just the US or the UK. In terms of global search terms for Google, Susan Boyle was top in April 2009, a year in which other top search terms included Michael Jackson, Christian Bale (in response to a notorious set outburst), paranormal activity, Tiger Woods, and the inauguration of President Obama. What the list tells us is that people's search and viewing interests go beyond the assumed ones of celebrities and obvious world events. If a little boy can be entertaining enough after a dental trip, he too can be up there with the rich and famous. What doesn't feature on the list is how all of this viewing and searching of the world's leading search company is exploited by criminals to lure people into social engineering attacks and cons. A good example from the last 24 hours is the first test flight of the Boeing 787 airliner, the Google video searches for which were infested with rogue links to malware within minutes of the event itself, according to security company, eSoft. "While the distribution points and payloads varied, their effectiveness did not. Most sites were undetected by Google Safe Browsing and the malicious payloads they delivered had very low anti-virus detection rates," noted the company's blogger. The Internet has always been a strange place but it is now also a hazardous one for the unwary news-searcher.